Ride sharing and alternative transportation services have gotten a lot of bad press over the past few months. While Uber just closed a behemoth round of funding at a $17 billion dollar valuation, it seems that every new municipality they, or competitors like Lyft, try and set up shop in, they quickly get shut down or blocked. Many cities across the country have worked through legislation or regulations to allow Uber and competitors to operate under. Most of these regulations involve taxi or chauffeur permitting, proof of insurance and other general liability measures. 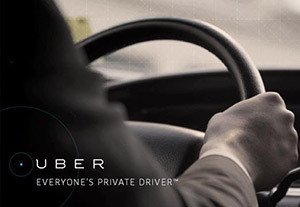 Many local governments want to make sure that people that ride in an Uber car are safe. While Uber continues to work through these issues and open up in new markets, they appear to be a very valuable brand with corporate partnerships. During holidays and festivals where there is a lot of alcohol consumption, Uber has partnered with alcohol brands to push the black car service as an alternative to driving drunk. One major corporate brand that’s taken notice of Uber is American Express. Often referred to as the holy grail of business credit cards, American Express quickly saw the value in the app that hails black cars over taxis. For decades business professionals have used American Express to pay for traditional car services. With more and more executives, both young and old, turning to Uber, it was a natural extension for the credit card provider. Geekwire reports that Uber riders can now use American Express to pay for their ride. More importantly though, American Express card holders can now use their accumulated American Express points to pay for Uber rides as well. Many of American Express’ “members” already use their cards to book and redeem points at hotels and airlines, it only makes sense to offer ground transportation in a total package, or a la carte. While Uber accepts all four major credit cards for payment, this is the first time that the company has allowed riders to use credit card points for redemption. They haven’t said that this deal is exclusive, we’ll probably see some of the more recognized Visa and Mastercard brands jump on this opportunity as well.